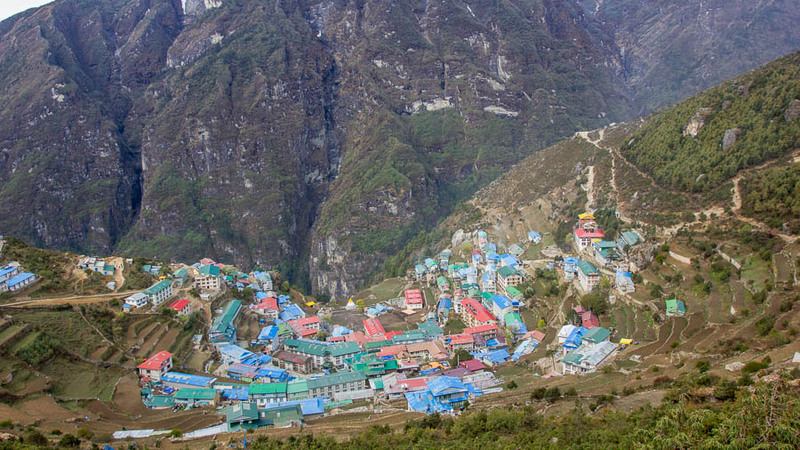 At the foot of Mount Everest, next to the Khumbu glacier stands the small town of Lobuche. With towering peaks above and a desolate landscape below, Lobuche is at the same time intimidating and attractive. Perhaps, it is this weird mixture of beauty and fear that brings the fifty thousand trekkers to Lobuche every year. Eager to make their way to Kalapathar and Everest Base Camp, these trekkers stay at least a night at one of the lodges in Lobuche. Construction of a lodge takes up to USD 400,000. 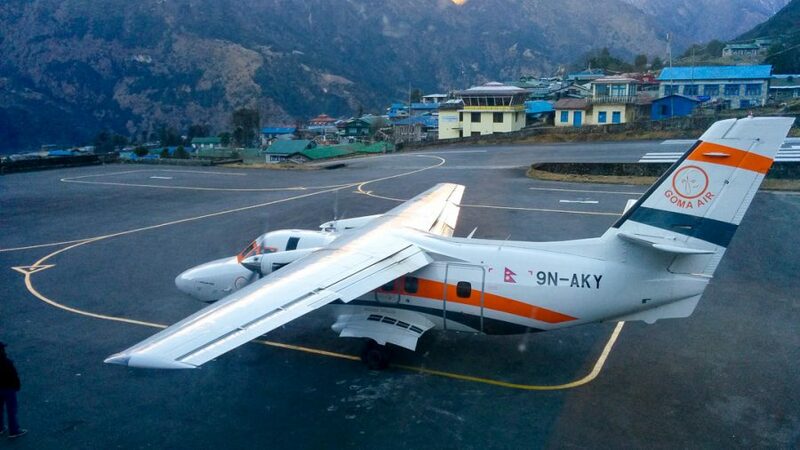 Flying goods from Kathmandu to Lukla costs NPR 100 per kilo. And then carrying it up costs more money. However, no one really cares how these lodges were built or what it takes to run them. 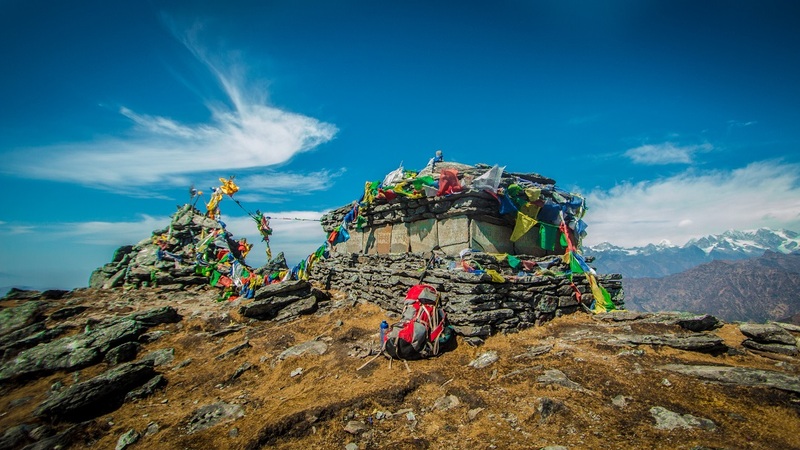 Guidebooks recommend that trekkers bargain and ask for free rooms while trekking companies demand free meals and accommodation for all their guides. The implicit threat is that if the lodge doesn’t play along, the trekking company will take their clients to another that is more obliging. The result? Lodge owners make less money, and trekkers get poor service. It is indeed a sad state of affairs. 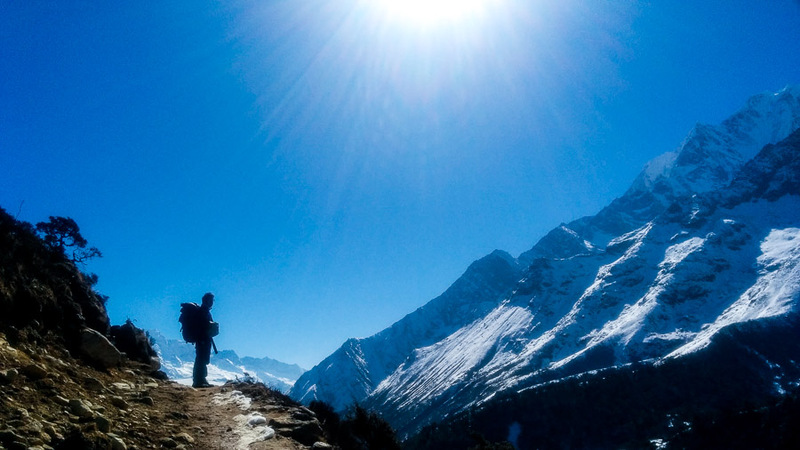 Trekkers spend a tonne of money to have the best possible time while trekking in Nepal, and they don’t even get to choose the lodge they want to stay in! The lodge owner who had spent half a million dollars to build a lodge at 5,200 meters cannot even charge for the rooms he created. While the short terms losses are easy to see, the long-term impacts are even more dangerous. As lodges get business based on kickbacks, there is little incentive to improve the service. And as lodges have their margins squeezed out of them, there is less money coming into the community. The result is an opaque system which is always looking for ways to cut corners to make an extra buck. As local service providers get the margins squeezed out of them, everybody who works on the ground loses. In the long run trekkers lose too. Not surprisingly, it was unanimously slammed by trekking companies in Kathmandu. Surely, this change must have been communicated at least 6 months before the trekking season. Surely, what legal standing does the Lodge Management Committees have to collect this room charge? Surely, with all the local permits, this is merely going to be one more hassle trekkers have to deal with. All of them are legitimate concerns, and they must be addressed. However, one thing is clear: there is no going back to the old ways. While early communication and legal standing are small issues which can be taken care of easily, the bigger issue, of course, is the impact it will have on trekkers. Trekkers are of course not aware of the local situation and why such a method of collecting room charge is necessary. To them, this is just another ‘toll’ they are being held hostage to. 1. Charging for rooms is standard procedure all over the world. There is a not a hotel in the world that doesn’t charge a price for booking a room. 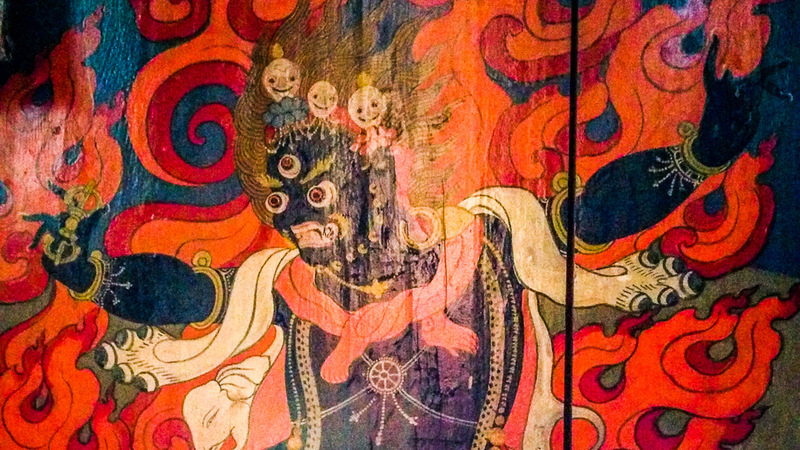 For some weird reason lost to time, it just happened to be so in the mountains of Nepal. This isn’t a state of affairs that will continue forever. 2. Companies will have less incentive to take you to lodges with inferior service. The practice of free rooms incentivizes companies to choose hotels that do not focus on providing exceptional service. Hence, now that companies have to pay the room price, chance are higher that they will take you to the hotel with better service. 3. It supports local development including trail maintenance and porter support. This trail section between Thukla and Lobuche was constructed with the funds raised from the room charge at Lobuche. PC: Pasang Sherpa, Everest Inn, Gorakshep. Up to 30% of the amount raised from the room charge is being used for local development. 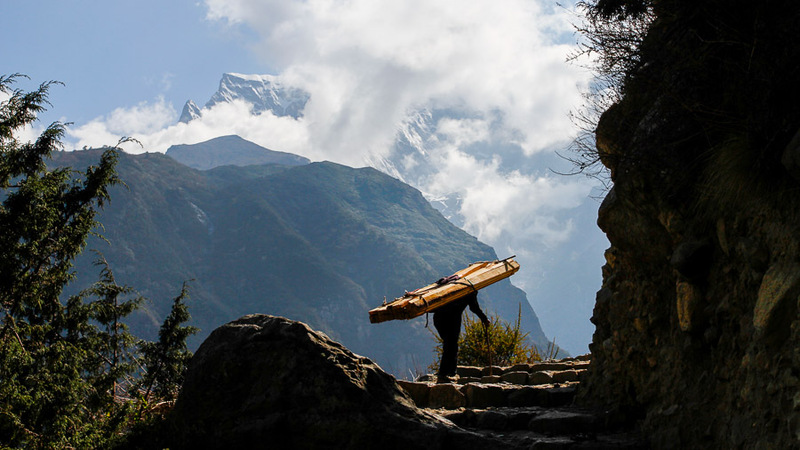 For example, the people of Lobuche recently finished upgrading the trail section between Thukla and Lobuche. 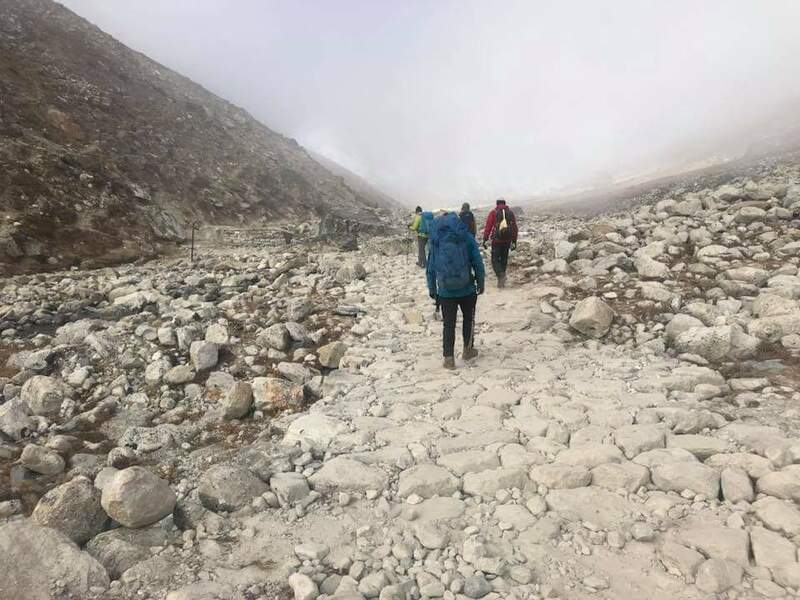 Plans are also underway in Gorakshep, to improve the trail section between Gorakshep and Kalapathar/Everest Base Camp/Lobuche. Water pipeline for the entire settlement of Gorakshep is also in the works. 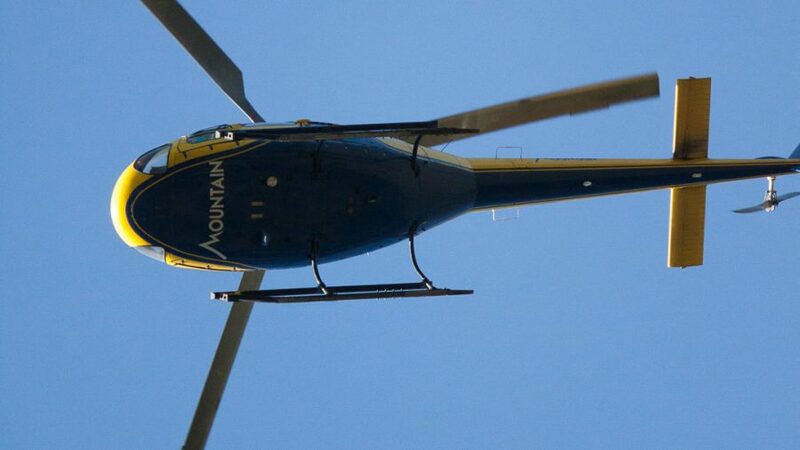 Given that lodges have a historical record of contributing money from their own pockets for local development like helipad construction and trail maintenance, such a fund will expedite local development efforts. 4. You are helping discourage a corrupt system that favors intermediaries over local service providers. If you think the guys who wake up at 3 am to cook a packed meal for your hike to Kalapathar are indispensable to the trekking industry and deserve their fair share of tourism dividends, then you already understand what the issue is. 5. Service level will increase faster. 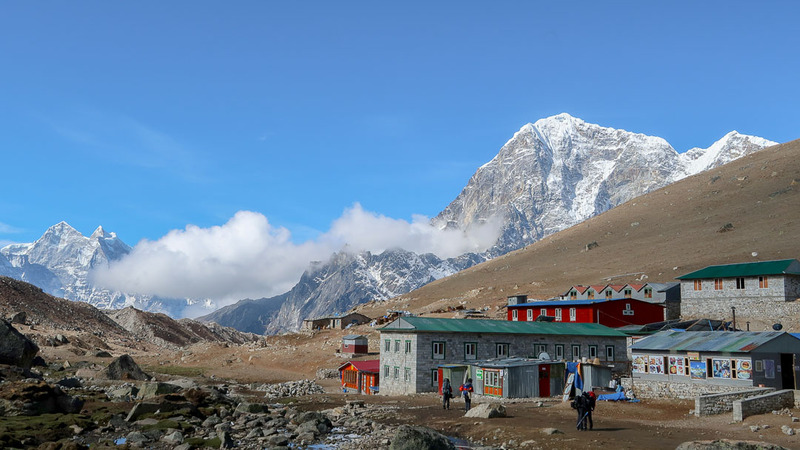 In a lot of ways, one of the reasons why lodges want to charge room prices is because there is a huge demand in the Everest Region for better accommodation and a lot of lodges have already invested heavily in upgrading their service level. It only makes sense for such service upgrades to be followed by room prices and even better service level down the line. 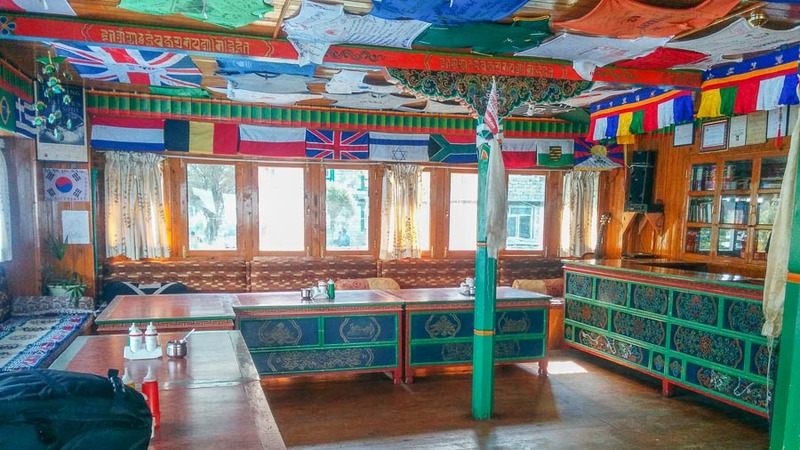 We would love to hear your thoughts on the end of the free room in Khumbu. Please let us know by providing feedback! Or, Contact Ashish Shrestha honeyhunter@honeyguideapps.com if you have any question on the issue. HoneyGuide is a technology company that allows trekkers to book lodges, guides, and flights directly. However, we didn’t write this article so that it will benefit our business. It is actually the other way around: we run this startup so that we can bring transparency, customization and community impact into the trekking industry. Also, note that trekkers who book their lodges through HoneyGuide will not have to pay the additional room charges as it is already incorporated in the booking price. 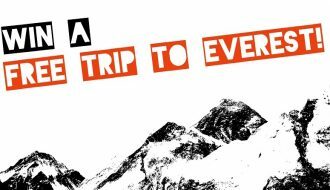 Book your trek to Everest directly with the service providers.